Bug is an extremely loose generic term, to my mind more than a little flippant, lackadaisical, derogatory even, homocentric and lacking respect for a collection of creatures which near dominate the earth. According to the Smithsonian, there are in region of 900 000 species of insects currently known, occupying almost every conceivable biological niche. Referring to the entire lot collectively as “Bugs” just seems a little tawdry to me. Given that this is a fishing blog and indeed a fly fishing blog at that, one presumes that the subject should be restricted to bugs of angling interest. So cockroaches and their ilk might be safely ignored. I don’t have any particular problem referring to roaches as bugs, in fact it doesn’t seem overly insensitive to use the term in respect of bankside spiders, beetles and the odd inchworm I suppose, but I am having trouble with the mayflies. It seems crass to refer to something so delicately wondrous, so quintessentially “ephemeral” as a “Bug”. In the UK the term mayfly tends to be used specifically for Ephemera Danica which hatches, with typical English perversity, in June. A massive beast as insects go and truly spectacular in terms of its metamorphosis, hatching and mating, not to mention the effect its emergence has on the fish. 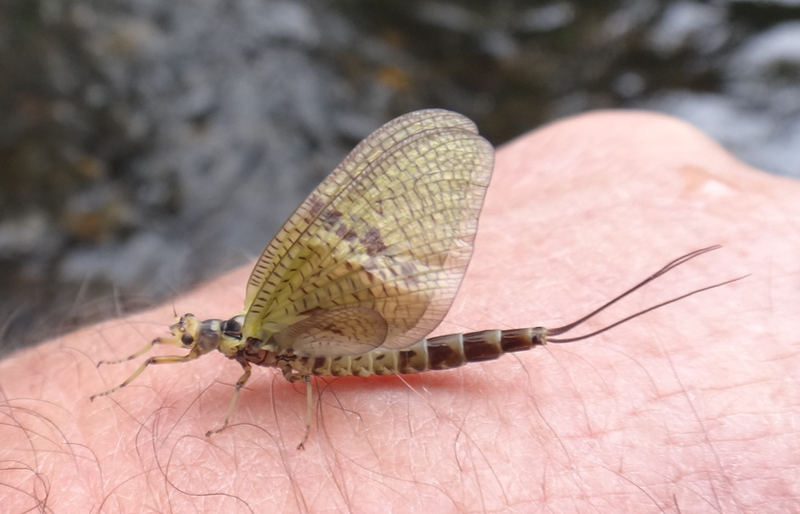 However near everywhere else in the world the term “mayfly” is used to describe any of the up-winged ephemeroptera, some 2500 species in total, and they are then subsequently qualified by such common names as Western Green Drake, Blue-Winged Olive (which covers a multiple number of similarly hued baetis), Cahill, Hendrickson etc, few of which terms actually refer to a single species. But of course nomenclature is fraught with trouble in almost any field particularly a specialised one and fly fishing and the “bugs” that are associated with it are no exception. There are some people who seem hell bent on showing off and referring to these “bugs” by their Latin names, Ephemera guttulata, Baetis harrisoni, Rhithrogenia germanica and similar. Given that most of these species require that you stick them under a microscope to be sure which they are and that trout don’t swim about with such modern conveniences it seems a little nonsensical to go to such extreme. To brightly discuss the hatch using italics only to tie on a size 14 Adams is a sure sign of some degree of personality disorder. Then there are those who reduce the “bugs” to an acronym, I am not sure that isn’t worse. Taking something quite so pretty as a pale morning dun and referring to it haphazardly as a PMD seems a little low brow in my book, condescending almost and lacking respect. 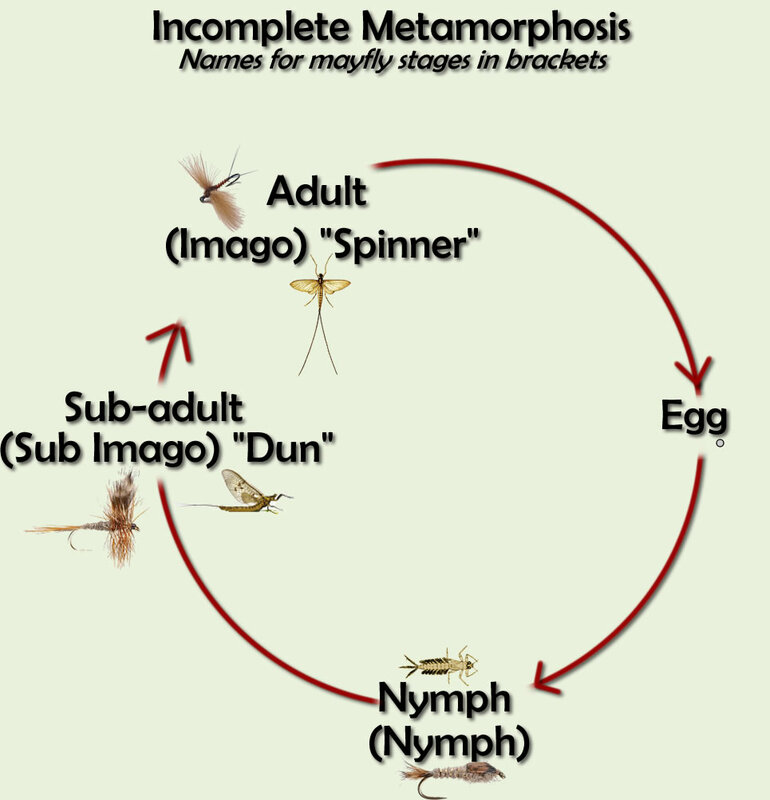 I am a confirmed atheist but were there anything on the planet likely to have me considering the possibility of omnipresent and all powerful creator it would surely be the life cycle of the ephemeroptera. 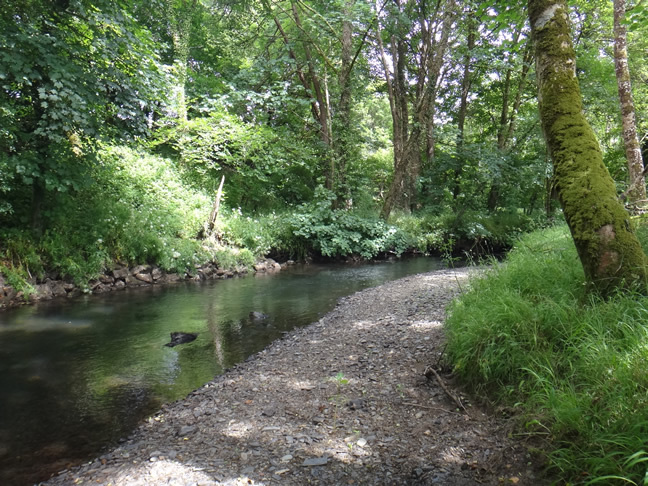 Firstly the eggs, minute things even for the largest of the Mayflies drift downstream and stick to a subaquatic rock or plant. Some are indeed carefully placed there by their mother, swimming down to the depths on a suicide mission and briefly surviving on the air trapped about her body to insure the best chance for her progeny. Then the nymphs when they hatch, crawl and swim about the place, hunted constantly by all manner of fish and even dragonfly nymphs. Should they avoid the pitfalls of childhood they will grow bigger and bigger with time, running out of space in their exoskeletons they go through a number of instars, effectively swapping their overcoats for a larger size. All of this which may take from months to years culminating in a pre-ordained rush to the surface to hatch into an adult dun at the same time as all their mates. Now consider for a moment that you have never breathed air, never flown, never so much as beat a wing, and yet you learn to fly in an instant. You have no concept of what wind is and yet you know to face into it, you have no knowledge of the outer world and yet you understand that you must first fly upstream. You don’t have a watch but you cannot afford to be late, or indeed early. Along the way of your perilous ascent you are a prime target for trout and other predatory fish. You are at the mercy of the currents; delay too long and you will be eaten or swamped. Should you manage to break free from the clutches of the glue like surface film, avoid being eaten or drowned and make the flight upstream to reset the GPS of your species you still have to get dressed for the party of a lifetime. So now you perform one of the most miraculous feats in all of nature, you pop out of your old clothes , yet again, and into new ones. But this time the new ones are larger still, your tails are longer, your new garb all the more glossy and you even discard the outer layers of your eyeballs in preparation for the shindig. I appreciate that women put on new clothes and mascara before they play the mating game but they could take a leaf out of the mayfly’s book in terms of the rapidity with which they accomplish the makeover. .
Not only that but bear in mind as a mayfly you have no ability to eat, your timing has to be perfect, you have frequently little more than a day to attend the graduation ball taking place over a tree top in the ‘hood. Mistime your run and you could be all alone, with a shortage of dancing partners, and all that swimming about will have been wasted. Finally you join the swarm, tree topping above the waters, find a mate, get it on and return to the river to lay eggs before you run out of petrol. To me that is the most incredible, the most miraculous, the most magnificent thing in the whole wide world and to refer to the insects that achieve this feat, and have been achieving it over and over for millennia simply as “Bugs”? Well to be honest, it’ just plain rude. Do feel free to leave a comment, observation, complaint or compliment, this series of posts, “Every Day in May” initiated by “How Small a Trout” is designed for entertainment, edification and amusement and you are most welcome to participate with commentary as you see fit.